Sadara, Satorp and Sabic dominate recent projects in Jubail as the industrial city moves to create more value to Saudi Arabia’s upstream hydrocarbon sector, more volumes, more jobs and more income for the kingdom. He went on to provide statistics not many outside the project circle knew: concrete and more than 160 tonnes of steel enough to build three causeways the size of the Saudi-Bahrain link will have been used plus some 2,500 km of pipes, roughly the distance between Jeddah and Jubail. Sadara, the kingdom’s prime initiative to support the kingdom’s industrial diversification by extending key value chains downstream, will significantly boost the contribution of the industrial cities of Jubail and Yanbu which in 2013 together made up 12 per cent of the kingdom’s GDP and 65 per cent of its industrial output while also having 85 per cent of its production exported. Jubail Industrial City-2, scene of current investments, has already attracted more than $111 billion. The Saudi Aramco-Dow venture represents the world’s largest integrated complex ever built in a single phase with 26 manufacturing units, over three million tonnes of annual capacity and an investment of about $20 billion. 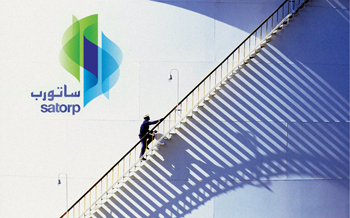 Saudi Aramco is expected to pay more attention to petrochemicals as global competition builds up in the upstream oil and gas sector. The gigantic Sadara project created a special moment for Almajdouie Logistics Company (MLC), which announced recently it was assigned to move 10 heavy and abnormal units from Jubail Industrial Port to the Sadara complex. The contract came from a leading Spanish freight forwarder. The heaviest of the columns MLC transported was 601 tonnes, the longest 76 m, the widest 8.5 m and the highest 8.3 m. “All units were safely discharged on to a trailer using vessel gears and then moved to the nearby Almajdouie laydown area,” reported MLC. Thereafter the columns were delivered to the Sadara site on the basis of a schedule drawn by the EPC contractor Tecnicas Reunidas of Spain. MLC is one of Saudi Arabia’s top logistics providers and an expert in moving heavy and outsized cargo. Sadara, meanwhile, has contracted Rolta to implement a comprehensive engineering information system within its complex. Rolta will provide a suite of engineering solutions designed to support process engineering, technical systems, process automation and control, asset integrity, analytical lab and standards, and document management. “Successful implementation of the engineering system is vital to the support and efficient operation of the Sadara Complex,” said Taher Nemer, project manager of manufacturing and engineering systems, Sadara Project. “We have partnered with Rolta on this challenging project because they’ve demonstrated the breadth of their sophisticated engineering IT expertise and have proven global delivery capabilities that are required. Earlier, ABB won a prestigious contract to provide operations management software for Sadara. Sabic, one of the dominant players in Jubail Industrial City, continues to figure prominently in developments concerning the city. An expansion of the Sadaf plant it planned with Royal Dutch Shell, a partner in the plant, was abandoned as feasibility study results were not encouraging. A Shell spokesman commented though that both parties were open to discussing other business opportunities. 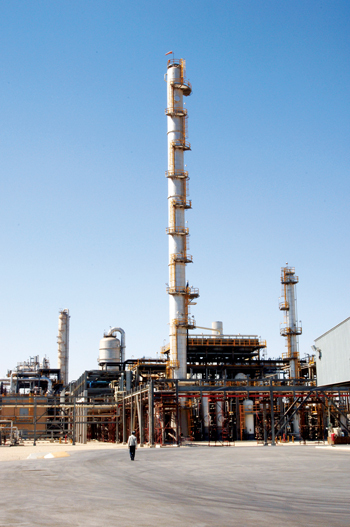 But Sabic is making up for that abandonment by progressing in two plants it is constructing in Jubail. One of them will produce POM (polyoxymethylene) at National Methanol Company (Ibn Sina), Sabic’s joint venture with Celanese Corporation and Duke Energy. 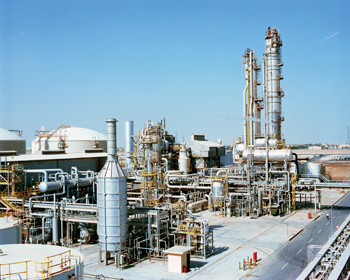 The other plant will manufacture PMMA (polymethyl methacrylate) and methyl methacrylate (MMA) monomer under a joint venture – Saudi Methacrylates Company – formed with Mitsubishi Rayon Company. POM and PMMA are said to offer high-performance solutions for metal and glass replacements, leading to weight savings and higher added value while responding to broader sustainability levels. Sabic is expanding its Technology Centre in Jubail Industrial City. It is constructing a building adjacent to its existing centre. Sabic says the project will strengthen R&D in chemicals and fertilisers and help it explore market opportunities. Another chemical producer on the ascendant, Sipchem, announced its plastics plant in the city will begin start-up operations soon. The plant will manufacture up to 63,000 tonnes annually of PBT (polybutylene terephthalate) resin a year. The resin is used as feedstock for products developed by automotive, electrical and IT companies. Sipchem aleady makes butanediol, which will be used in producing PBT. Away from refineries and chemical facilities, ArcelorMittal Iron and Steel Company took the first step in its plans to have a strong presence in Saudi Arabia. It started commercial operations at its plant in Jubail 2 which has annual capacity of 600,000 tonnes with investment in excess of $1 billion. Most of its production will be used for tubular items and the remainder for pipelines. “The project represents a connection with the mother company and its subsidiaries around the world. It decided to divert its investments toward the Saudi, Gulf and the Middle East markets to produce iron and steel and its derivatives to meet the growing demand in the region,” a senior official of ArcelorMittal said at the time it began operations. “The production targets new projects, especially in Jubail and meet the needs of the kingdom and Gulf countries of oil and gas pipes in multiple types and sizes.” The plant is a joint venture between ArcelorMittal and Al Tanmiah Company for Industrial and Commercial Investment.